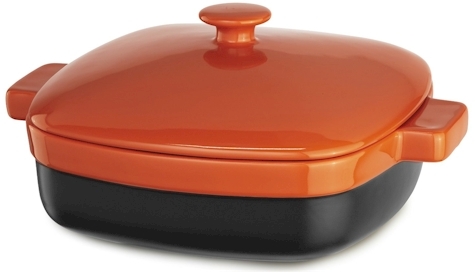 Amazon has got this KitchenAid 2.8 quart Streamline Ceramic Casserole in Persimmon for $13.28 with free Prime/SuperSaver shipping (limit 3 per account), the lowest recorded Amazon price on this item. This is really an incredible price on this beautiful and functional dish. My personal advice would be to take the one bad review with a grain of salt. I actually own this casserole and have used it numerous times in the oven without it breaking. Check out the reviews on the other sizes and colors of the KitchenAid casseroles to see what other reviewers think of these dishes.